If you're hard working user, I think some Twists shortcuts going to help you to ease your burden. Take a look at the shortcuts below, and don't worry, there aren't too many of them. 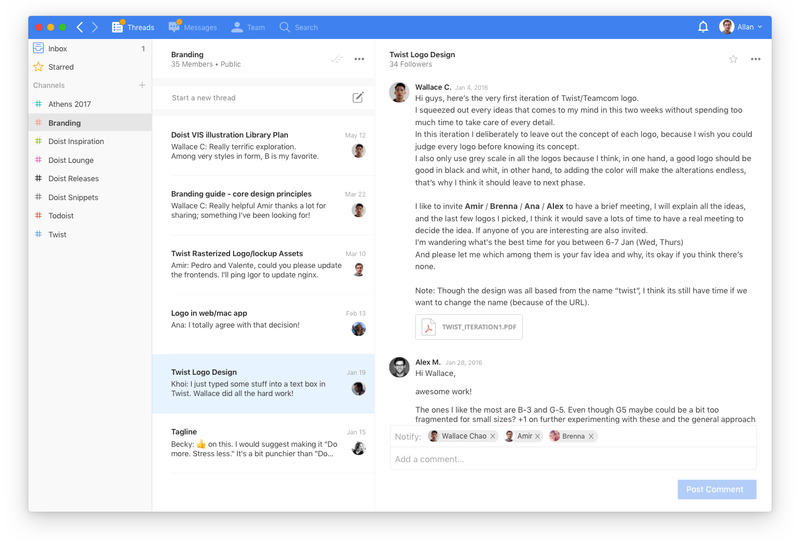 Twist is a communication software for productivity and work. It aims to keep conversations separated by topic, so replies aren't get buried in the endless stream of chat texts. What is your favorite Twist hotkey? Do you have any useful tips for program? Let other users know below.